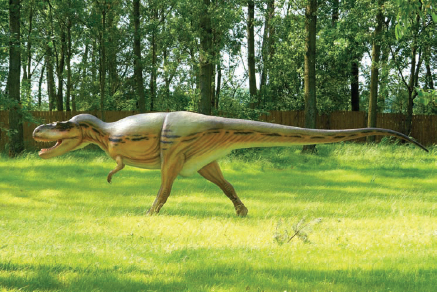 Where were the first Albertosaurus fossil remains found? The first fossil remains of the Late Cretaceous dinosaur Albertosaurus were found in the Badlands of the Red Deer River Valley of Alberta, Canada. Geologist Joseph Burr Tyrrell found the fossil remains in the spring of 1884, as he led an expedition near present day Drumheller for the Geological Survey of Canada. Today, the Badlands of the Red Deer River Valley in Alberta, Canada, are recognized as one of the world’s leading fossil collecting areas, with some 25 species of dinosaurs so far uncovered. The significance of this area led to the establishment of the Royal Tyrrell Museum, established in June 1990, in Drumheller. The first fossils of the Cretaceous dinosaur Albertosaurus were found in Alberta, Canada, which is how this predator got its name (Big Stock Photo).